The Ripper Group International – an Australian company which is pioneering the use of drones in the search and rescue movement – has teamed up with the University of Technology Sydney to produce SharkSpotter, system that combines AI and drone technology to spot sharks and aid swimmers. Shark attacks are quite rare. In Australia (where the SharkSpotter system is being implemented), there were only 36 attacks in the last year (about 0.4 attacks per million beach visitors.) However, shark attacks – and more commonly, the threat of shark attacks from animals in the area – disrupt beach activities, affect the crucial beach tourist industry, and can cost the lives of the humans or sharks involved. Following two separate attacks off the coast of North Queensland last week, four tiger sharks were captured and killed. How can drones help with this problem? 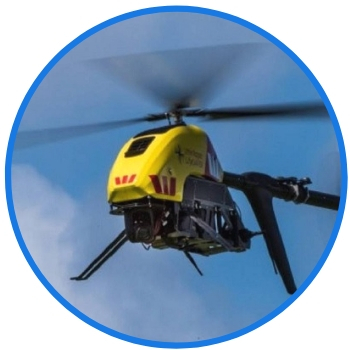 It starts with one of the Ripper Group’s custom UAVs – a Westpac Little Ripper Lifesaver. Like many modern drones, the Lifesaver comes equipped with an HD camera that streams first person view footage directly to the SharkSpotter system. The live aerial imagery from the drone is run through a “deep learning” program that can identify all objects in the water, putting them into one of 16 valid categories: shark, whale, dolphin, rays, different types of boats, surfers, and swimmers. If SharkSpotter does indeed spot a shark, it lights up the computer screen with a visual indication of the shark’s location and plays an audible alert sound. The operator sitting at the computer verifies the alert manually and then sends the data to the Surf Life Savers (a non-profit organization providing surf rescue services in Australia) for further action. If the situation appears to be an emergency (such as an attack in progress), the drone is also equipped with a flotation pod that can be dropped into the water to rescue a drowning swimmer. The drone can also drop an electronic shark repellent to try and get the shark to leave long enough for any humans in the area to escape. The SharkSpotter system was deployed last summer (remember, Northern hemisphere readers: that means December through February) across a dozen beaches in New South Wales and Queensland, where it was used to help the Surf Life Savers monitor the beaches more accurately. According to a survey conducted by the Ripper Group (which has not been made public, and should therefore be taken with a grain of salt) it was well-received. The technology was developed in part thanks to a grant from the government of New South Wales’ $16 million Shark Management Strategy, first implemented in 2015. 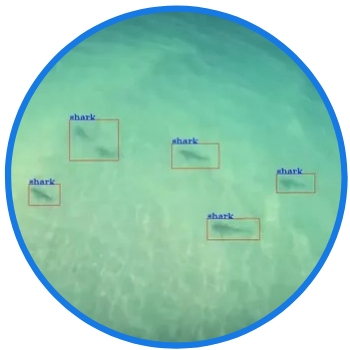 Though we at Dronethusiast were first drawn to the story because of the obvious drone component, SharkSpotter also marks a bold new implementation of Artificial Intelligence learning. Vast amounts of data was collected by the Ripper Group over the course of close to a year, using aerial photography from the same drones they would later use to implement the real thing. Each of those photos was manually tagged by a person to indicate the specific locations of those sixteen objects outlined above. Each annotated frame of the original video footage was then used to train a deep learning algorithm to correctly identify and classify objects. The video footage was taken at different altitudes, camera resolutions, speeds, and flight durations to account for all possible variables. The result was an aerial detection service with more than 90% accuracy. Helicopters with human spotters only have about 17.1% accuracy, and fixed-wing aircraft spotters have only 12.5%, so this is big step forward in an important area. The Lifesaver drone has already performed one successful rescue, in January 2018, when it deployed a lifesaving rescue pod 800 meters from the nearest lifeguard station. 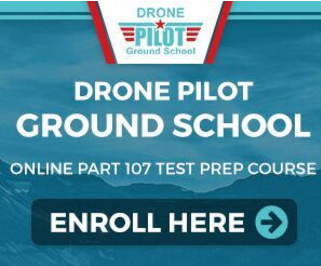 As far as we at Dronethusiast are concerned, this technology seems like it can only be a good thing. At worst, it’s still going to help make the Surf Life Savers’ jobs a little bit easier, and at best this could have a real positive effect on the shark attack rate near key Australian beaches. What do you think? Is this technology as exciting as it sounds or overrated? Let us know in the comments!